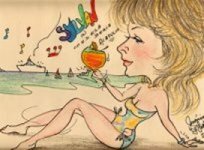 One spring day, bored with secretarial life, Sylvan read a horoscope that advised her to "follow every golden opportunity" that month. As you could only do in those magically innocent and exciting days of no qualifications whatsoever, she applied for jobs at Annabelle’s night club as a disc jockey, and Moyses Stephens as a florist. She also sent off a demo disc of her singing and playing her guitar, to the Radio Luxembourg Talent Search, and, to everyone’s surprise, got to the top 6 in the London finals. Dana having taken top place. 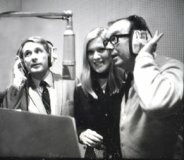 Cyril Stapleton encouraged her to take voice coaching lessons with tutor Freddie Winrose in Denmark Street with a view to a recording contract when she had had more experience. 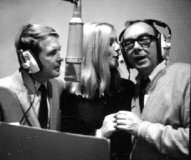 Three weeks later, having been discovered and plucked from obscurity from Tin Pan Alley’s "Gioconda" coffee bar, she had written and recorded her first record "We don’t Belong" an appearances followed that summer on ITV in such shows as "Thank Your Lucky Stars" and Granada’s "Scene at 6.30". 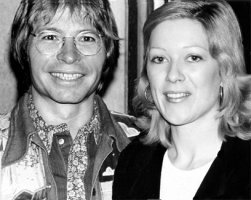 "Sylvan was the only singer to have stayed on board in those early days"
"Sylvan was marooned with 15 men"
“ The next girl ever to stay on Radio Caroline South was a young Yorkshire-born singer named Sylvan Whittingham. 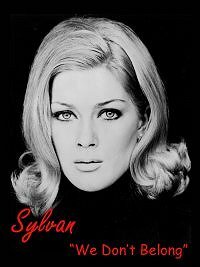 Sylvan, came out for the day on 19 September 1965 with the intention of promoting her record “We Don't Belong”, and saying hello to the disc jockeys. But she became stormbound as high winds sprang up and the tender which took her out from Harwich was forced to return to land urgently, just as Sylvan was appearing on the radio. She spent the weekend of 18-20 September 1965 on board with the captain, crew and broadcasting personnel. 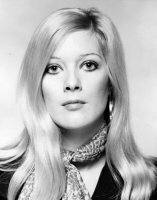 As far a I know she is the only singer to have stayed over on board in those early days. 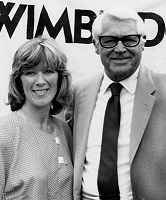 Sylvan was the daughter of Jack Whittingham who wrote the screen play of the James Bond film Thunderball. She said “It was very rough when I set out but after lunch, when I should have gone back, it grew worse and the tender was rising up and down beside Caroline. I knew I would be sick, so I locked myself in the lavatory and just refused to leave. The tender hooted at me for half-an-hour but eventually left without me.” As there was no tender on the Sunday, Sylvan had to wait until the Monday, and a quiet sea, before returning to Harwich. And to add to her talents she really can sing. And Roger Gale howled at her cabin door. And poor scientist’s never been quite the same since. “No, never” cried Roger, as he locked the door. 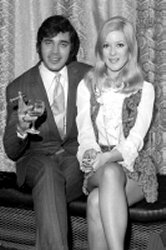 To enliven the Tony Blackburn show. That never again would she set foot afloat. 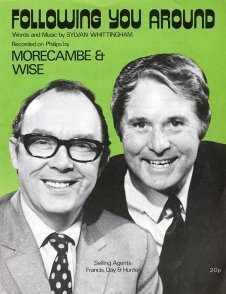 On holiday in Malta, Sylvan was introduced to Ernie Wise who was looking for a new song for the Morecambe and Wise TV series. She played him Following You Around, which was a song she had adapted from an old folk song her brother Jonathan had discovered. 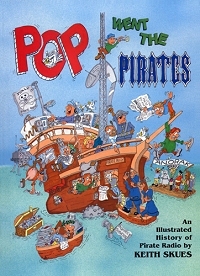 It subsequently became the theme tune for the series in 1972. 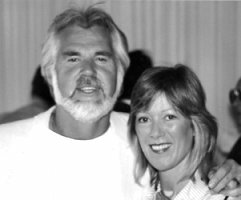 "Love Is All" (Malcolm Roberts) "Kiss Me Goodbye" (Petula Clark) "Love Grows Where Rosemary Goes" (Edison Lighthouse), and many others which were the subject of a lengthy legal battle with Barry which was settled in 1986. View "When You do What Your Doing "
With the proceeds of Delilah they bought 'Kinfauns' - Beatle George Harrison’s house in Esher. 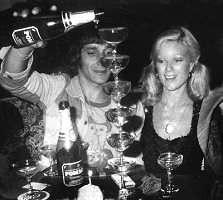 "Barry is reported to have said that Sylvan has good ideas about tunes and lyrics and helped him compose his latest song intended for offer to well established singers"
Quote from a 1969 Jackie magazine cutting. "They write songs together". Says Barry, "It’s only in the last 18 months that we’ve been so close. Sylvan’s inspired me – all my success has come in these 18 months. She inspires me all the time and I’ve really come to rely on her". "I must put on record how vastly paternally and emotionally proud I am of you and Barry. Of course we know that ‘Love Grows’ is top of the Pops. Your success is so heartening to me, and I feel so proud and glad for you both. Think of the times I did my utmost to restrain you. Oh dear!" A letter from Barry on TWI paper dated April 5th says "Are you still smudging (taking photographs)? I hope so…mind you writing is your forte. 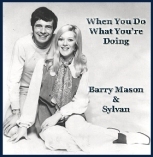 You must remind me to get the sub-publishing contracts drawn up when I get back"
From Barry April 8th 1977 "By the way, Aznavour rang up and said he liked the lyric. You really are a clever girl and when we are all sorted out, I’ll make you into a great lyricist and songwriter, which you always have been, I just haven’t given you enough push and help. I’ll make sure you get your full credit for half the lyrics as we agreed as soon as the contracts are drawn up". "you are a GREAT lyricist and it will be a pleasure to work with someone of such stature" "Aznavour is coming here in a few days, did I tell you he called and said how much he enjoyed the lyrics? I’ll tell him all about your talent and contribution (I know, half)"
"I need a great follow up story song, and no one can write a better story song than us." And "send me a great lyric if you like. You’re a super lyricist and I’ll treat you seriously as a song writer from now on, I promise." On Malta airlines paper "I told him (my Father Jack Whittingham) you were the greatest influence and inspiration I had ever known, I’ll never be able to describe what you have done for me, and given to me." Including "WE DON'T BELONG" - Sylvan Mason Vol 4. Track 17. "Having had a chance to listen to the Rhino Girl Group box a few times I want to gush about it a little bit more". As was already pointed out, the packaging is fantastic and clever as all get out. But what impresses me most about the set is the track selection and running order. It's a real testament to the art of CD compilation I completely endorse all that you say. It is without doubt the best girl group compilation ever. Every household should have one!" 'Best Packaging' and 'Historial Content'?. "Discovered this on the essential Girl Groups box set a few years ago, and suffice to say my life has not been the same since. Like finding a soulmate in the dark, foggy ocean of life. A big kiss and thank you Sylvan"
Reviewer: A music fan from New Castle, PA USA. These songs range from the beautiful to the bizarre, all of them catchier than the flu! 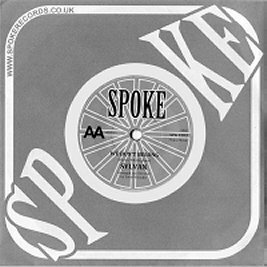 There's something special about their obscurity as well - listening to this compilation is like hearing a radio broadcast from a long lost world. 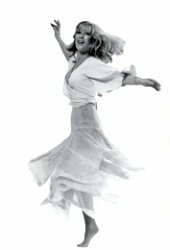 Highlights include The Chantelle's fierce "Gonna Get Burned," Peanut's charming "Come Tomorrow," the McKinley's three blues/folk inspired pop gems , Samantha Jones go-go-tastic "Go Ahead," Sylvan's cinematic "We Don't Belong," and Cheryl St Clair's heartbreaking Bacharach-esque "I'll Forget You Tonight." This compilation is a must have for fans of girl groups, classic pop, modern club pop like Pizzicato Five and Saint Etienne... and any fans of music. I've had it on non-stop play for months. 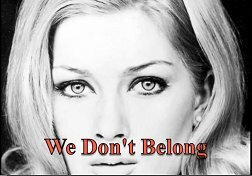 We Don't Belong was issued on Columbia. It is one of the most arresting songs heard here, with its dramatic, filmic, descending piano breaks and its mysterious-sounding melody.